Cardfight!! 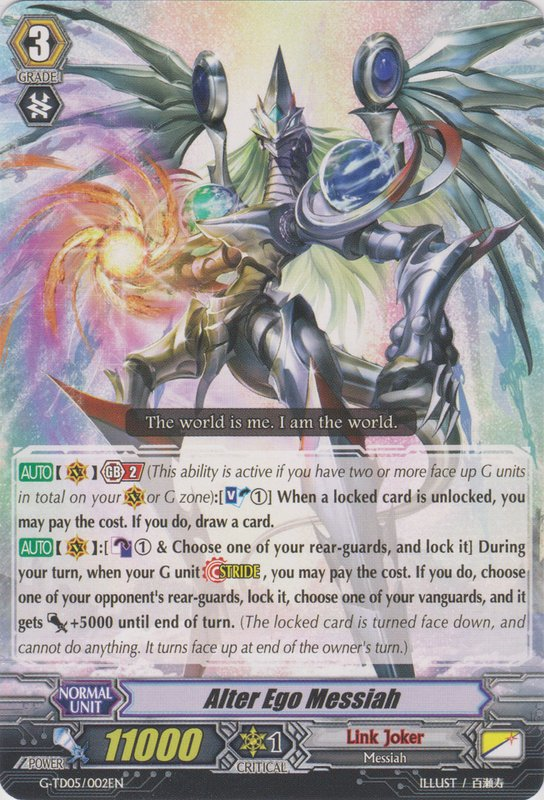 Vanguard G: Alter Anti-Meta Messiah! You are here: Home / Cardfight!! Vanguard G: Alter Anti-Meta Messiah! Greetings cardfighters! 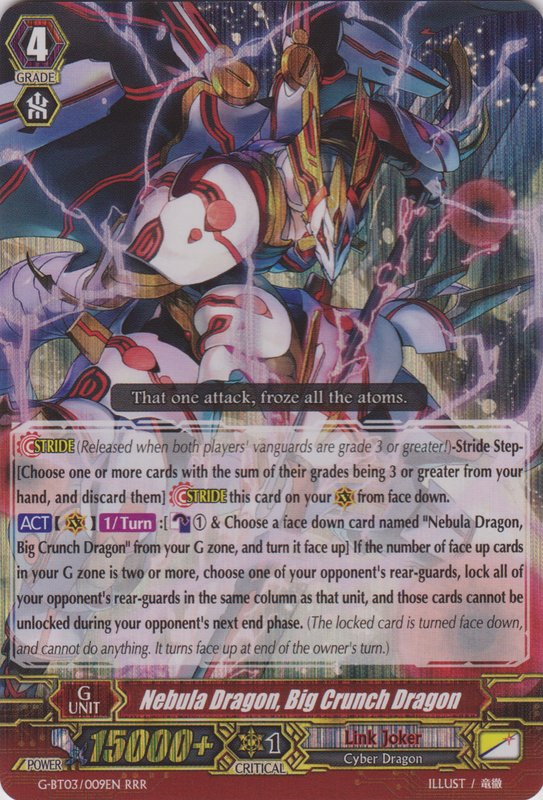 Last week, I touched a bit on my projections for the G-BT03 metagame as well as a summarized input on Nebula Dragon, Big Crunch Dragon. If you haven't checked it out, be sure to do so by clicking right HERE. This week, I want to go into depth on the make-up of the Messiah deck and why I believe it will be a big contender in ARG Charlotte, as well as the ARG National Tournament next month. To summarize in one sentence, I believe the Messiah deck takes the anti-meta slot in the current state of the game because it hard counters specific popular match-ups, and it fixes the speed issue that most prior Link Joker decks had to deal with. The deck however is only anti-meta and not top tier itself because although it counters many popular match-ups, it should lose to the current top deck: Revenger Shadow Paladins. Alter Ego Messiah is arguably the best Generation Break 2 (GB2) Vanguard in the game. 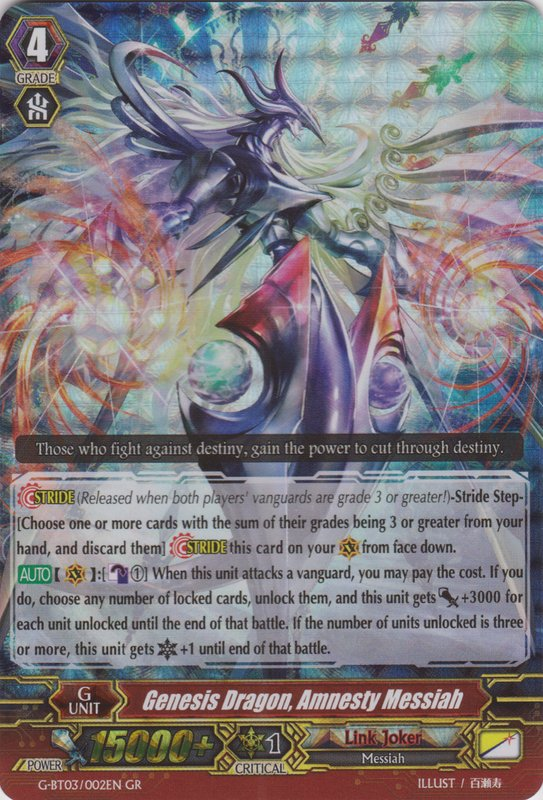 This card alone does the lion's share of the work for new Link Joker builds. It efficiently locks a front-row rear guard for a low cost of CB1 every turn, which is very good for building tempo and ensuring your opponent will not get their full swing of attacks. It even gives a throwback to the trait that made Star-vader, Chaos Breaker Dragon so strong in its time: the ability to gain further advantage upon units unlocking. What sets this card apart from many of the other GB2 Vanguards is how it has a very relevant skill on the opponent's turn. Most GB2 Vanguards see their GB2 go to waste, as it is far more preferable to simply stride and reap the benefits of the stride skill in conjunction with the G Unit. Alter Ego Messiah fixes that problem by having its GB2 skill apply at the end of the opponents turn in conjunction for having strong synergy by performing stride. Thanks to the tempo swinging power of the lock mechanic, Link Joker finds it easy to consistently get themselves to the point of the game where you can access persona strides. Now I did cover Big Crunch in my last article, but I'm going to specify the powerful synergy Big Crunch has with Alter Ego. Once you're able to go into Big Crunch, you are at that point of the game where Link Joker is at its strongest: duo lock turns. Prior to Big Crunch, the duo lock either occurred too late or had too high of a cost (looking at you Blaster Joker). Big Crunch fixes that by costing only 2 counter-blast in conjunction with Alter Ego. Even this is partially refunded, thanks to the deck's access to Dark Metal Chameleon. What's even better is that Big Crunch omega locks a whole column, so once we are on the following turn and stride into a 3rd copy, we don't even have to use Alter Ego's stride skill. Amnesty Messiah on first glance is a gimmicky version of Holy Dragon, Saint Blow Dragon that contradicts what the deck wants to do. There is far more to the card than beats the eye however. The card serves as an important enabler for the many different combo pieces in this deck. 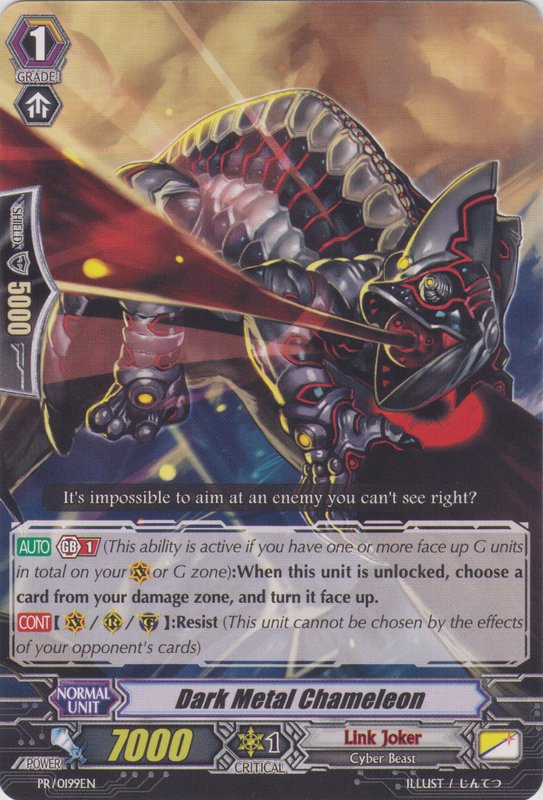 The deck runs several cards that gain advantage through self-lock, such as Awaking Messiah, Heavymaterial Dragon, Dark Metal Chameleon, and so on. Amnesty Messiah serves as a one-card out to enable all those cards to do what they want to do. The card also is an out to the mirror match, effectively turning off lock for both players. The card serves many multi-faceted uses. If you want a high powered critical vanguard, you can use it for that. If you used multiple self-locking cards this turn and want to undo all of them to maximize value, you can do that too. Overall its great for specific scenarios and it is frequently used as a first stride instead of Judgement Messiah, depending on the situation you're in. So it locks. Cool. Link Jokers already have done that. Lock is a mechanic that relies on swinging tempo heavily in your favor to win. Link Jokers don't do anything else besides out-card your opponent by conserving resources on what would have been guarded columns. The problem is that most older Link Joker builds not named Glendios started locking when it was already too late to build tempo. The Messiah series however fixes this problem by bringing the deck's speed to be either on par or only slightly slower then every other G-era deck, which is at a good enough pace for lock to be really effective. So why is this deck anti-meta? Link Joker hard counters many popular decks in the current metagame. The most prominent example is Royal Paladin. We've all seen how quickly Sanctuary Guard Regalie builds have taken off as the prominent Royal Paladin build and it has solidified itself in tier 1. The Sanctuary Guard deck is fast, flexible, and hits hard with powerful rear-guards. The deck only has one bad match-up, and that is none other than Link Joker. The deck's winning image of multiple, high stage rear-guard columns is torn apart when paired against moderately paced, cheaply costed locks. The deck does not have very many powerful back-up options either. 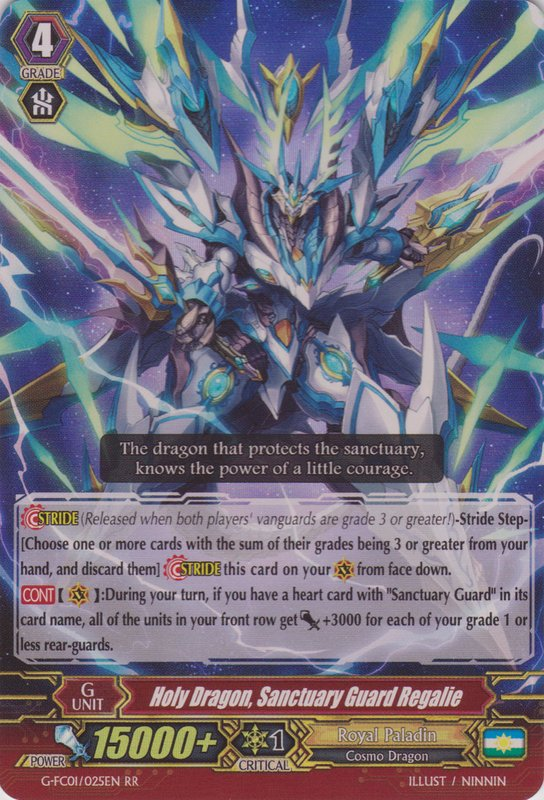 Most builds are only running two copies of Holy Dragon, Saint Blow Dragon due to space, so as long as the Link Joker player conserves at least one sentinel unit, the Royal Paladin player should not be able to put up much of a fight except for a rushy early game. Overall, playing a deck that is able to rip apart the 2nd best deck in the metagame is quite an advantage. There are several other scenarios where Messiah shines brightly in. Against the Narukami match-up, Conquering Supreme Dragon, Conquest Dragon is unable to use its skill's potential to the fullest when dealing with lock. Conversely and to be respectful of Narukami, the deck does not like having Dark Metal Chameleon punched by True Brawler, Big Bang Knuckle Turbo. Similar to Sanctuary Guard, Aqua Force is ripped apart, unless they open up a god hand and can successfully rush with Tidal Assault. Oracle Think Tank will have a difficult time playing Silent Tom in the late game when they are constantly dealing with locks every turn. Of course, the deck also automatically turns off Commander Laurel, which reduces the level of pressure from Dimension Police as well as being able to lock the vanguard booster. 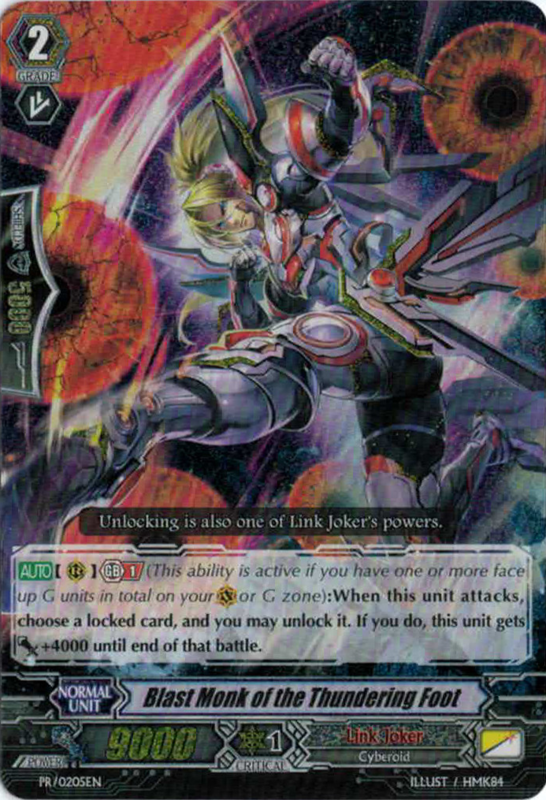 Although the deck can dismantle medicore players who don't know how to play around Link Joker, the deck has a rough time against Revengers assuming a competent pilot. It doesn't help that Revengers are the current #1 deck in the metagame either. A smart player can easily play around the early game and retire their columns for their various skills so they never will have columns locked. This is also coupled with gigantic vanguard pressure coming from Revenger, Phantom Blaster Abyss and Dark Dragon, Phantom Blaster "Diablo". Messiah Link Jokers are unable to deal with this as the deck is really average on offensive power. This is the reason why Messiah fills in an anti-meta slot rather than being a Tier 1 deck itself. If the deck countered all the top decks, it would itself be tier 1. Gurguit Gold Paladin decks that play one of the Ezel series as an alternative are also a death sentence for Messiah. The ability to unlock with Salvation Lion, Grand Ezel Scissors and Absolution Lion King, Mithril Ezel prevents Link Joker from accomplishing anything of significance and the deck cannot keep up with a full field of attacks every turn. These two match-ups are important to consider if you decide to play this deck at any large scale tournament. Fair enough? Can we see a decklist? Messiah builds are not fully set in stone yet as people are still debating and testing out the best ratios on cards, but I believe this is a solid skeleton to go by. The deck was built to utilize the various combos unlock provides for your own rear-guards while still maximizing what lock does to your opponent. Dark Metal Chameleon is absolutely vital to un-flip your counter-blasts so you can keep the locks and combos going. Blast Monk of the Thundering Foot is a substitute we have to run because Lady Battler of the White Dwarf will not be released until the Fall Regional series kicks in. I decided to throw in 2 copies of Asleep Messiah for that reason to make either a 3-stage column with Blast Monk or a 2-stage column with Heavymaterial Dragon. If you don't like the idea of running 8k vanillas, Volt Line is always a strong alternative. Duskblade is a strong card but it is less important for the deck because Alter Ego Messiah and your G Units already do your locking for you, so I left it as optional. It's also difficult to fit in when we have to play Blast Monk. Once Lady Battler of the White Dwarf comes out, we aren't forced to run Blast Monk and you can easily fit it in. Freezeray is a nifty alternative vanguard because like Alter Ego Messiah, it does things on your opponents turn and it gives you access to my favorite G Unit: Rain Element Madew. Overall Messiah is a powerful deck that has great match-ups against many clans. The biggest factor keeping it back is an uncomfortable Revenger match-up, but the deck is popular and it counters enough strategies to make it important enough to consider as a threat. Hopefully I was able to teach you a thing or two about the deck, so you can pick it up for yourself or be versed on how to play against it. Until next time, Play Hard or Go Home! I’m actually thinking about trying out this deck, since Freezeray is such a fun deck and it is something different compared to almost each deck released in the current metagame. My only problem with the article is, that you couldn’t decide if you want to go with Freezeray or not. You tried to post as if adding it to the deck would be so easy, but it isn’t. You ACTUALLY have to modify your lineup as much as possible just because adding 4 Freezerays. For example, LBE are a must if you run him. Also, some Star-vader stuff can be easily added just because of it. And so on.